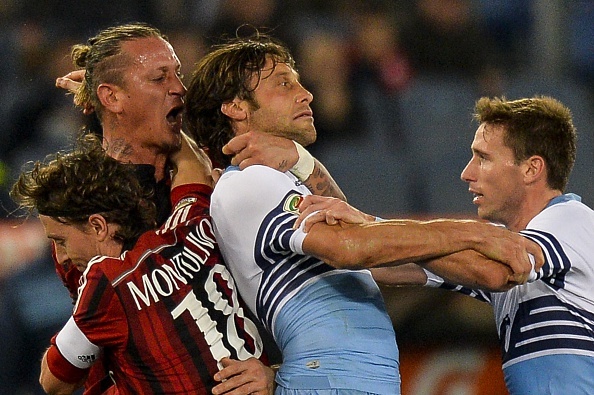 In what was a shocking turn of events, AC Milan’s French defender Phillipe Mexes attacked Lazio’s Stefano Mauri after being shown a red card for retaliating after a foul from the Italian. Once he was shown the red card, he proceeded to go ahead and choke Mauri and had to be pulled off him by teammates. The Frenchman, who is known to have a volatile temper, collected his 16th red card in 16 years of his career.